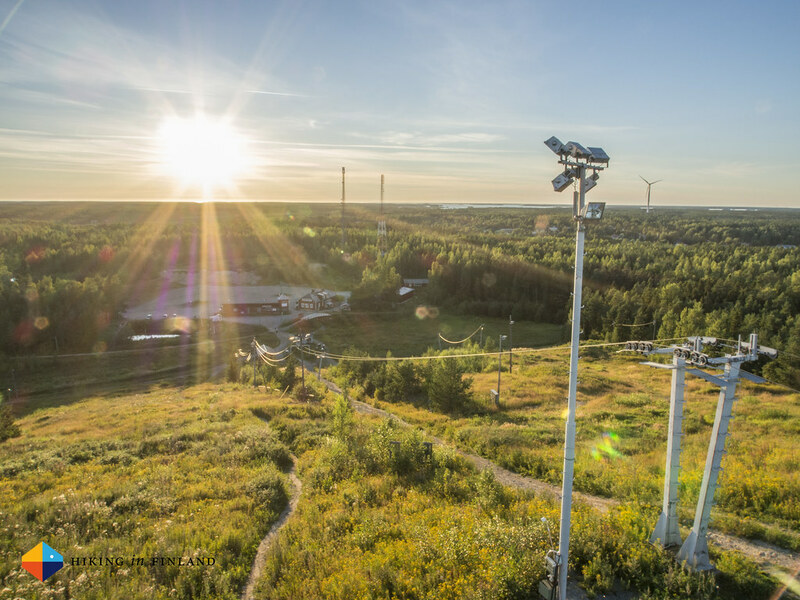 The Outdoor Guide to Vaasa - Finland’s sunniest city! 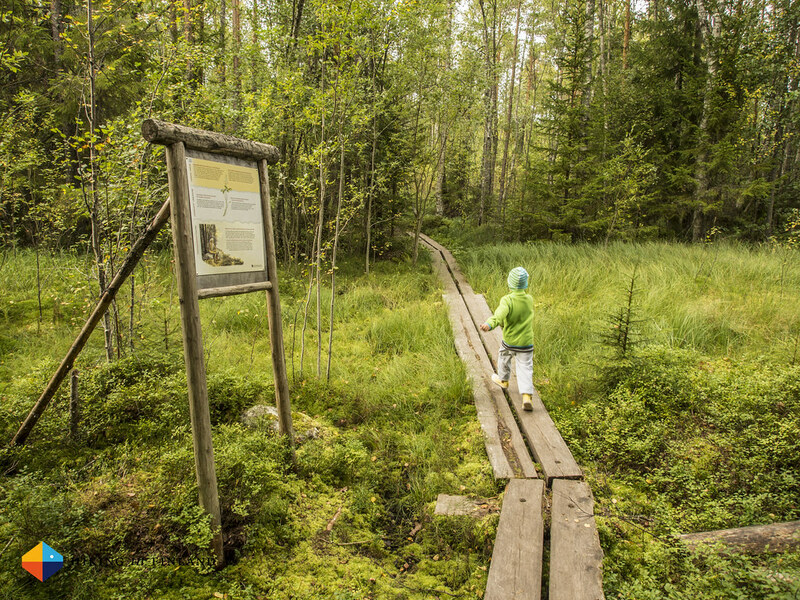 There’s plenty of nice nature trails around Vaasa which all can be found here. You can find coordinates and pdf maps on that website, though in general the trails are well marked and there’s an info board + map at the start. If you have a car or bike, I can recommend the Öjenin luontopolku which is a nice 4 km loop with a fire place at the middle, which makes it ideal for adventures with kids. On the island of Vaskiluoto there’s a large forest trail which also is also groomed in winter for cross country skiing. The Kvarken Archipelago is Finland’s only UNESCO World Heritage site and an ideal destination to go birdwatching, a family or weekend hike or a packrafting adventure. You will need a car or bike to get there (walking along the road is no fun), but it is worth it - the raising land is a sight to behold. You prefer water sports? Good that Vaasa has at least half a dozen of fine beaches, with the one at Hietasaari probably being the easiest to reach and the most popular, too. 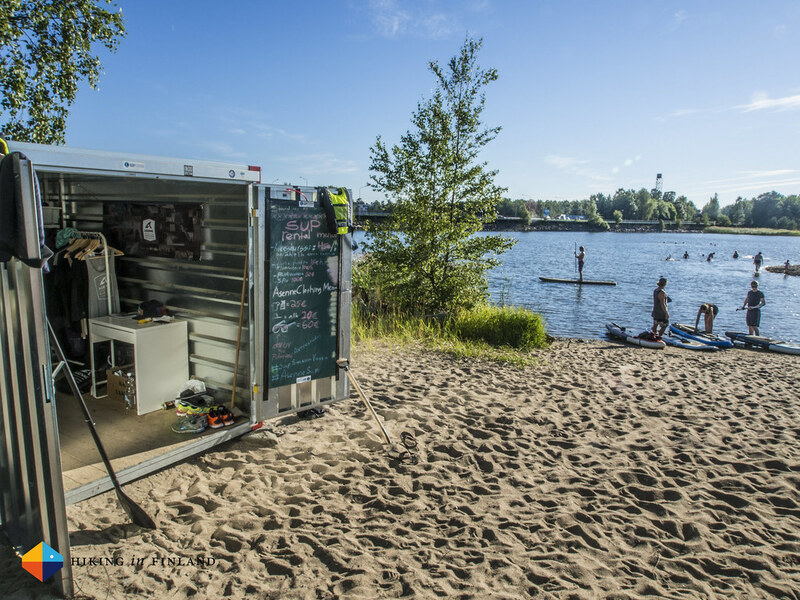 The Vaasa SUP Station is also located there and a great opportunity to rent a SUP board and try our Stand Up Paddling. The photos from their sunset paddles look awesome, so check out their Instagram feed. In winter Hietasaari is also a good starting point to go Nordic Skating on the Baltic, or take your kite-surfing gear and hit the ice on the Eteläinen Kaupunginselkä. Bouldering outdoors in Vaasa is so easy, you almost stumble over the blocs! 27 Crags has you covered and is your guide to the best bouldering and climbing in town. If you actually prefer climbing with a rope then Falkiin Kallio is the nearest crag of note, or you take the ferry to Umeå where there’s bigger and longer routes! In winter the crag at Höstvesi is good for whacking some ice, too. Skiing in Vaasa is also possible at the nearby Öjberget Ski Centre. You can check if its open from ski.fi, though at 45 m elevation and the longest slope being 325 m long don’t expect long runs! However, in town there are 14 cross country skiing loipes, so if you come here in winter and enjoy some kick’n’glide take your skis along! You can go packrafting and kayaking in town right from any of the many beaches and shores, but be careful around the harbour. At Varppi you can rent a kayak or rowing boat if you don’t bring your own. 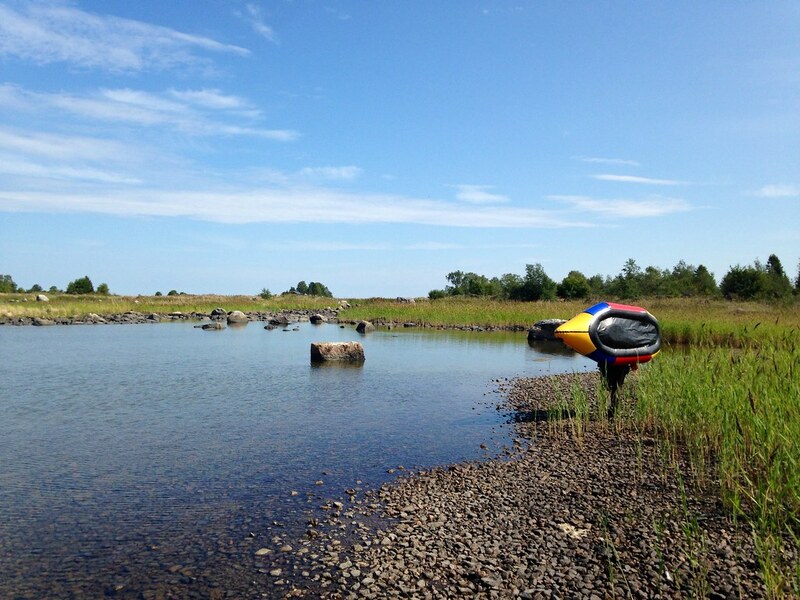 A much nicer area to go paddling is the Kvarken Archipelago or one of the rivers. And if you prefer a short cruise, also that is possible in summer, with the old post boat being the most beautiful cruise as it has been sailing since 1679. If you want to do long bicycle rides you’re in luck, though. There’s plenty of great cycling here, and Vaasa being in Pohjanmaa - the “flat country” - you won’t need to bother with long climbs. However, because we’re next to the Baltic expect wind, and as it goes - if there’s wind there’s going to be headwind. 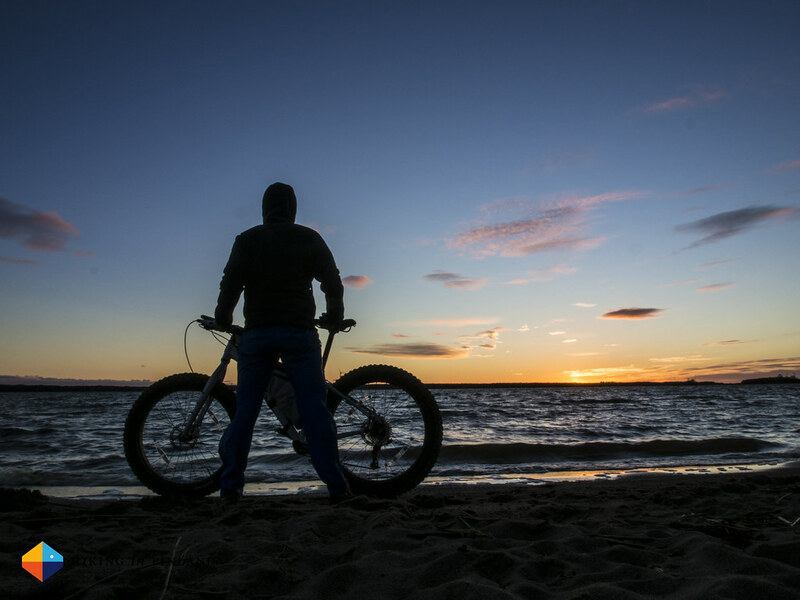 If you prefer to cycle around town, then the ride along the shore is a nice way to explore some of the best views of Vaasa and also grab an ice cream or a Toast Skagen at Strampen. And if you look for some singletrack to shred check out the trail on the Vaasanseudun MTB website. Nice parks for a pick nick include the Satamapuisto next to Kuntsi and the adjoining Hovioikeudenpuisto as well as Hietasaari, the tiny island just in front of Vaasa. There’s plenty of gyms and sports halls in Vaasa, though you likely will need a membership to train in them. A better choice if the weather is not cooperating is the nice swimming hall of Vaasa, which has a 50 m pool for good work outs as well as a jump pool and a couple of kids’ pools. And this being Finland it obviously has a fine Sauna, too! 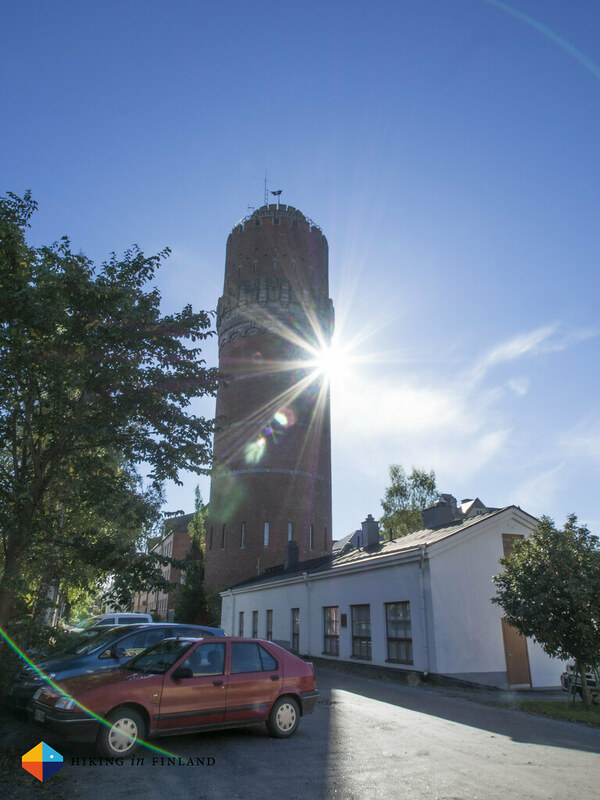 The Watertower of Vaasa houses the city’s climbing gym, which has public hours each Wednesday and Sunday from 18 to 20 o’clock. There’ currently two walls, one 17 m long with some overhang and one 20 m high wall, with a third wall being under construction. The modern art museum Kuntsi is well worth a visit if you like art, and there’s also the rather nice Tikanojan taidekoti which is a good place to spent time. The Pohjanmaa Museum is actually four museums in one, of which the Terranova natural science exhibition is interesting to learn more about the Kvarken Archipelago. There are only limited outdoor-sy happenings in Vaasa, but the yearly Outdoor Recreation Day which usually happens every February is a good event to attend. You can learn about ice climbing, try nordic touring skating and ice fishing, eat a Pulla or Makkara and learn about other winter activities offered in the area. Vaasa’s offerings in terms of outdoor equipment are OK. Don’t expect to find gear from Arc’teryx, Patagonia, Norrøna, Primus or Helsport in town, though if you like Fjällräven, Haglöfs, Salomon et al. you will find them at the Intersport shop just off the main square. Also the Hypermarkets just a wee bit outside of the centre carry some outdoor equipment, from fishing tackle to sleeping pads and backpacks. On the other hand there are at least half a dozen Bike Shops in Vaasa, with Pyöräliike Viertola in Rauhankatu 20 being my favourite. They carry Pelago Bicycles and are friendly & professional, and also sell used bikes. As fas as I know there’s no possibility to rent gear in town, but you can always check kuin oma for renting gear in Finland. 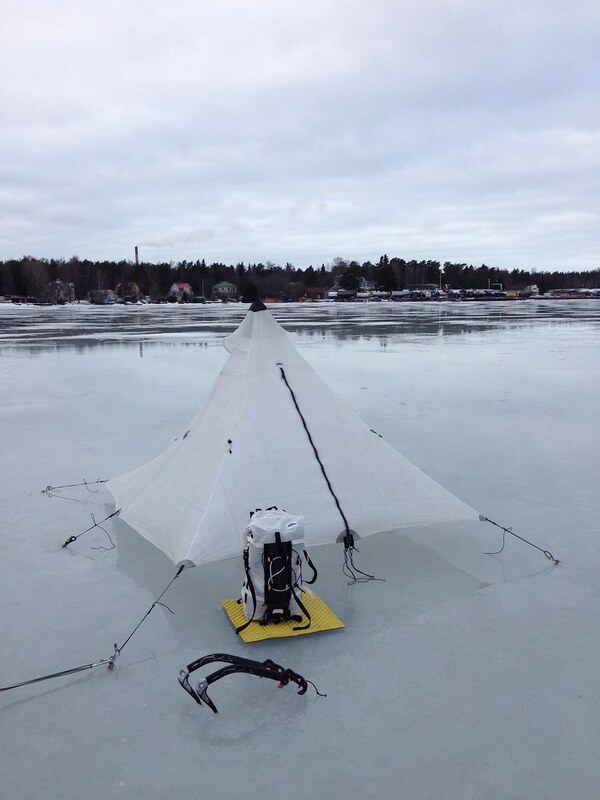 Stealth camping in Vaasa is no problem whatsoever. There are so many forests and parks close to the centre that camping out is not a problem. Some of the beaches are a great option, or if you want to be really on your own cycle or walk out to Pilvilampi and camp there. The Everymen’s Right is your friend in Finland, so just stay at least 100 m away from a house and you’re good to go. If you prefer to sleep indoors, then check the AirBnB listings in Vaasa, there’s currently 28 houses, flats and rooms on offer in town which range from cozy old wooden houses to modern flats with sea view. Hotels, Cottages and B&Bs can be found on the Vaasa website, and if you want to go camping then the Top Camping Vaasa place is your only option. What are the best Cafés in Vaasa? Well, all those that are closed on Sundays. Seriously though, don’t expect a Café to be open on Sunday in this town. I haven’t figured out why they are closed, but on the rare occasion that they are open on a Sunday they are full. But any other day of the week they welcome your business, and it’s a hard toss-up which of these four Cafés is my favourite. Konsulinnan kahvihuone serves a great lunch with a delicious salad table, their coffee is arguably the best in town and you get a free 2nd cup. Also their cakes are superb, and the atmosphere in the old building is wonderful. Sweet Vaasa makes tasty cakes and salads, the Othello Bakeries also have great traditional pastries and the Wasa Konditoria in the old market hall has a great atmosphere and sells goods from Finland’s best bakery, Aroma. 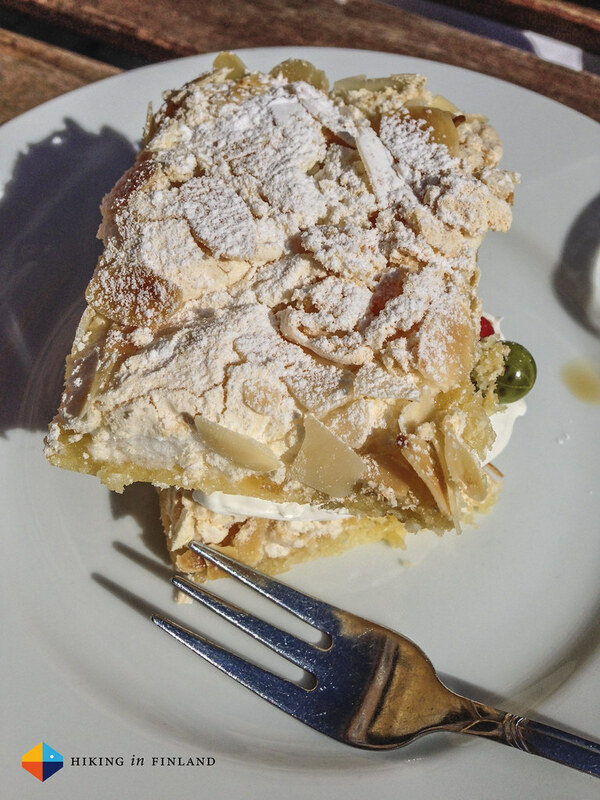 Aroma itself is located a bit outside of town in Kvevlax and a great stop for a coffeeneuring trip with your bike. Café Raawka should be on your list if you like raw food - it’s on my list for this weekends Café trip to town! Magokoro is Vaasa’s Sushi Restaurant and my favourite option for a tasty lunch in the centre. Their sushi are fresh, tasty and will always make you wish you’d have taken one more. For Dinner the Pizzabistro Marco Polo is the best choice for Pizzas in town. Delicious, freshly made pizzas and a cozy atmosphere with friendly staff will make for a good start into the evening. Tom Yum Thai is a great Thai Restaurant which makes tasty food and has very friendly staff, and my choice for Asian food when eating out. I haven’t yet been to Villd, the Pop-Up Restaurant from Ossi Palonevan, but plan to go there while it is here in Vaasa till the end of October. Locally sourced foods from the Baltic and forests for a uniquely Finnish dining experience - what’s not to look forward to? More than a couple of days in Vaasa? 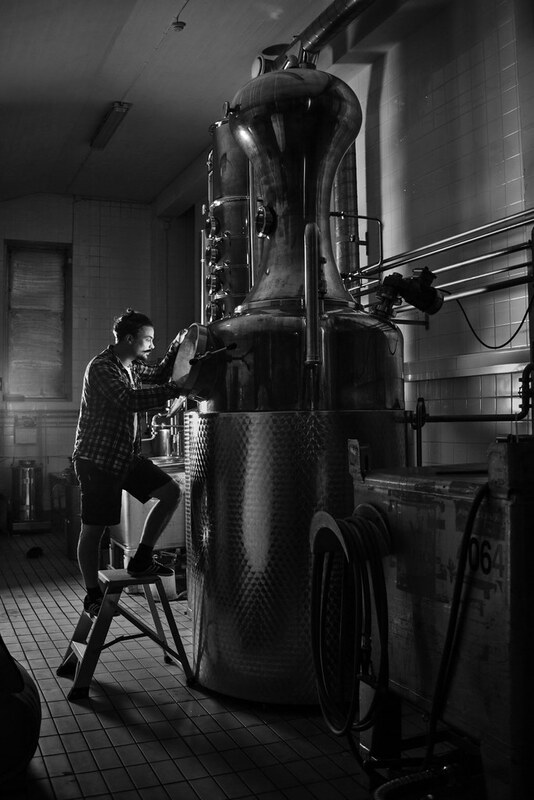 Take a bike and ride to Isokyrö and visit the Kyrö Distillery Company and taste the worlds best Gin for Gin & Tonic! You also might be able to grab a bite and witness some live music at this small distillery, but check their website and reserve a table if you plan to visit. 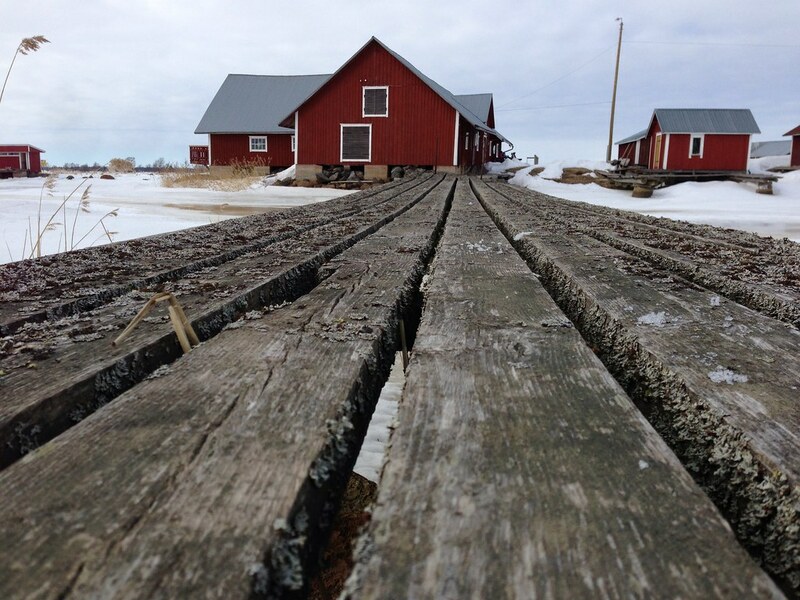 If you’re more than a couple of days in town you owe it to yourself to head out to the Kvarken Archipelago, Finland’s only UNESCO World Heritage Site and see how the land rises from the sea, spot a white-tailed eagle and traditional boat sheds. It’s a great place to visit summers as winters, and will surely will make you feel like you’re in a far-away, wild place. 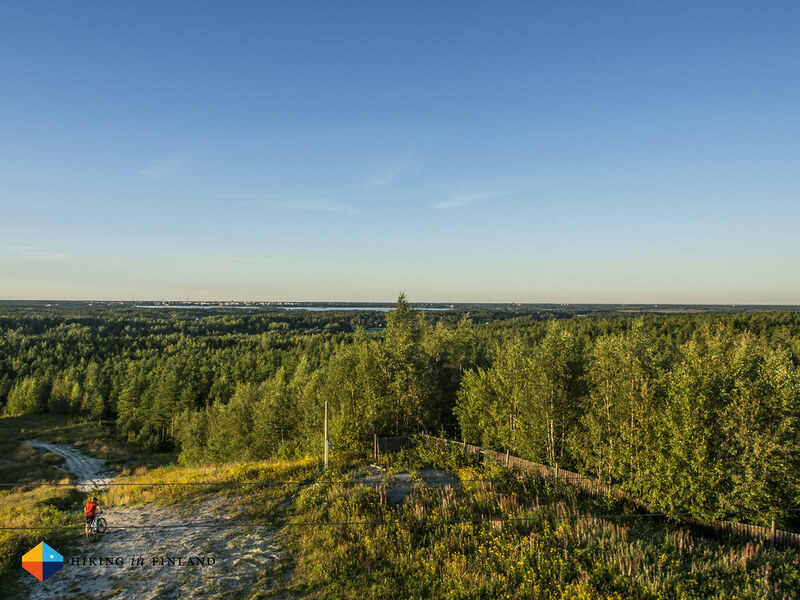 Meteoria Söderfjärden is probably the biggest meteorite crater in Finland, and right in the middle there’s a birdwatching tower to observe the cranes and other birds passing through in spring an autumn. Meteoria is the most important resting and feeding place for cranes in Finland and a great place to observe these birds. There’s also a small museum next to the tower, and it’s easy to reach by bike or car. Stundars is an open air museum with over sixty traditional buildings from the region, from a windmill to a fishermen’s hut. It’s a great place to visit in summer when it is open, or during one of the special events like the handcrafts fair. There’s also trail that leads to it from the Meteoria and it’s close to Sundom, the small village just a few kilometres away from Vaasa. The centre of Vaasa is compact enough that you can walk from the Railway Station to Hietasaari in 15 minutes, or from the Swimming Hall to Palosaari in about 25 minutes. 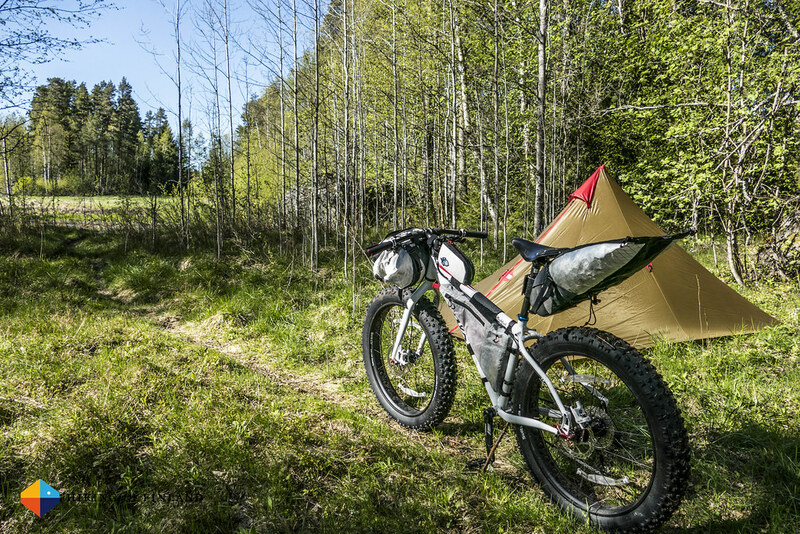 There’s no easy way to loan a bike in Vaasa, and the public transportation is also not good - a couple of busses with drivers who seem to think they’re in a rally car, you’re better off walking. 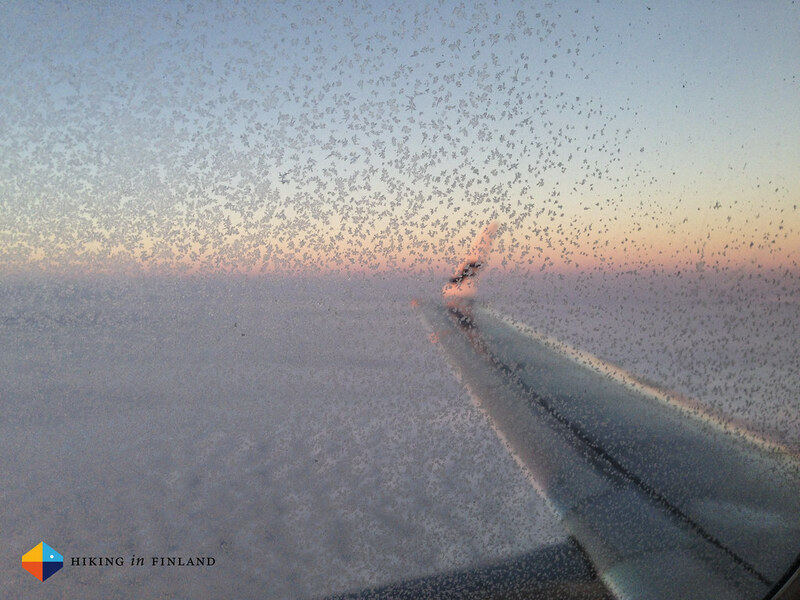 Getting to Vaasa is fastest and most affordable by airplane. The airport is small and efficient and it’s just a 35 minute flight to Helsinki. If you like to see more of the country then travelling by bus is an option, either by Matkahuolto or with the cheap Onnibus. If you prefer unreliable transportation which is expensive then the Finnish Railways should be your choice. If you’re in Sweden you also can fly from Stockholm to Vaasa, or take the Wasaline Ferry from Umeå for a more relaxed way to arrive in town. There are outdoorsy people in Vaasa, though they are mostly organized in Clubs for their specific sports as you saw above, so you might want to check out their happenings if you want to socialize. However, to find like-minded outdoorsy people you can browse the Instagram Tag for Vaasa and also search on Twitter for tweeps from Vaasa. And then there’s obviously me on Twitter, Instagram and Facebook. Liked this Outdoor Guide to Vaasa, but you’re more likely to visit Stockholm, Tokyo and San Francisco next? Well, you’re in luck! Direct your browser to the Outdoor Guide Directory and check out the other Guides from across the globe!